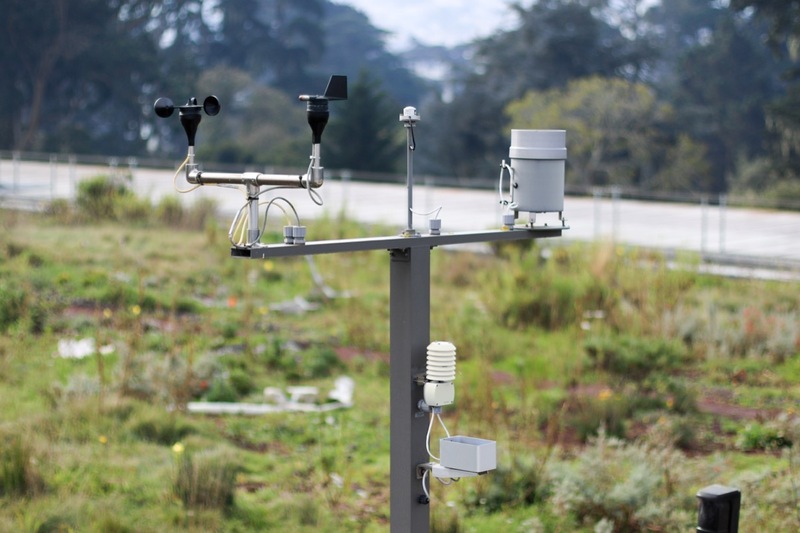 I love this animated gif of the weather station on the living roof of the California Academy of Sciences. There’s something calming and reassuring about it. Weather stations are part of the automated heating and cooling system of the museum. They monitor wind speed, wind direction, rainfall, temperature and humidity. Data is fed into a computer that opens and closes the windows and skylights of the building to keep us at a comfortable temperature at all times. By using the outside environment to cool our interior spaces, we save a tremendous amount of energy.